Now a days peoples are using more than one SIM card on their Mobile phones so it's difficult to remember the mobile number. On the other hand if you buy a new SIM card for your mobile, it will take some time to remember the mobile number. In Indian Mobile market customers are using multi SIM card phones and also use different operator SIM cards to manage their needs. 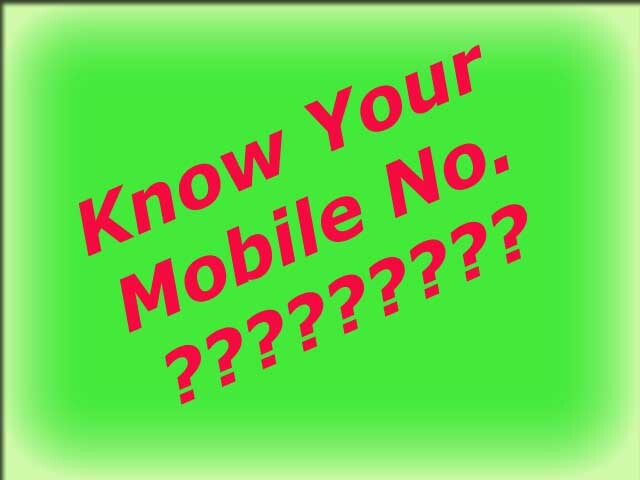 In some cases you may forget your mobile number if so then what to do? don't worry here is the way through which you can know your mobile number by dialing some numbers on your mobile phone. In this topic I am giving the codes for all SIM card or telecom operator to know the mobile number. How To Know Your Mobile Number - Get Your Mobile No. Note: All the Numbers or codes are not tested, but some codes has been tested.